Who out there is desperate to get their hands on that smooth, elegant, pure, pale, delicious Hennessy Pure White? Well, you’ve certainly come to the right place. And rest assured, you’re not alone! 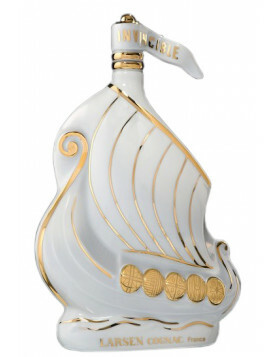 Because when it comes to buying Henny White, one of the most sought after Cognacs of the moment, it seems that virtually everyone who’s fallen it love with its delicate taste simply can’t manage to buy it. Anywhere! So, here’s the situation: Pure White by Hennessy is available only at the Hennessy headquarters in Cognac, France, and–as random as this may sound–in the Caribbean. Most people pick it up whilst vacationing in Barbados in the Bahamas. The bottom line is that Pure White Hennessy Cognac isn’t available or sold in the United States. Some of you have informed us that they’ve spotted it on the odd occasion in a few New York liquor stores. And, because it’s so sought after and rarely seen, these prices tend to be hugely inflated. But apart from these rare situations, you won’t simply won’t find it anywhere in the USA, because sadly, Hennessy Pure White has never really been marketed in the US. Now we have to say that we’ve never really understood the reasoning behind this, seeing that it has such a huge fan base. It would make total sense for the Cognac giant to sell HPW to the massive North American audience. And for many reasons. It’s super easy to drink, versatile enough to be enjoyed, neat, over ice, or in a cocktail, and appeals to both male and female Cognac lovers. And, being as it’s looks are sub-zero when it comes to the ‘cool’ stakes, it’s the perfect bottle for anyone for whom style is important (and that’s most of us, right?). Music fans adore it, as does anyone who loves a smooth tasting, easy drinking Cognac that’s presented in an extra special bottle. And as those of you who’ve already been won over by its charms are well aware of, not many manage to make their blend as smooth as Hennessy does. Now, here’s the thing. We’re delighted to tell you that there is an answer to your Hennessy Pure White dilemma. And that’s that Cognac Expert can deliver your beloved Hennessy Pure White directly from France to your doorstep. Yes, you heard right! Thanks to our unique relationship with the lovely people at Hennessy, we’re in the happy position to be able to send Pure White all around the globe. And yes, that includes sending to wherever you live in US. The only sticking point we have is how super-popular HPW is. Because Hennessy are very particular about how much Pure White they sell, and where they sell it to. 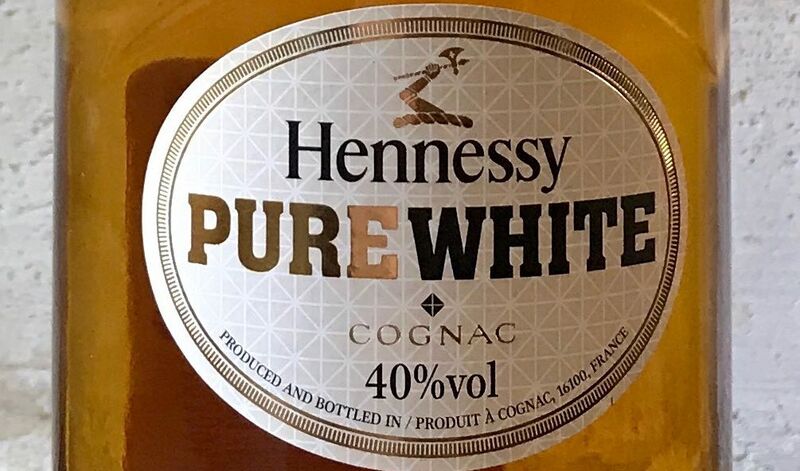 So even we have the odd period when Hennessy Pure White is out of stock. But in such situations we’re always optimistic that it’ll be back in stock very soon. And if you sign up to our email alerts, we’ll ping you just as soon as we can fulfill your HPW needs. So without further ado, let’s take a look at our Cognac review and some background info about this much desired Cognac. How does Hennessy White taste? Hennessy White has a personality of its own, and is presented in a 70cl glass bottle. The following are our personal tasting notes. Eye: Light honey, radiant yellow glow. Nose: Sensual flowery aromas, very gentle. Taste: Fresh fruity hints and subtle flowery notes. Hennessy Pure White has a very delicate taste, with delightful complexities unfolding in the finish. Finish: Extremely smooth in the mouth and throat. This Cognac will not give you a burning feeling at all. The finish is very long but light at the same time, unfolding a wonderful range of aromas. Blend: The eaux-de-vie used to create the delcious HPW blend come from the Grande Champagne and Petite Champagne, the Borderies, and Fins Bois growth areas. As with all Cognac, Hennessy Pure White is double-distilled wine that’s then aged in oak barrels, then blended, and finally bottled. 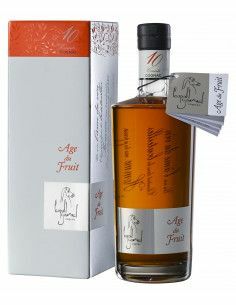 Age: HPW boasts a large amount of different eaux-de-vie. Their ages range between 2 and 50 years, so it’s difficult to define the product within a single age category. We would class it between a VS and a VSOP quality Cognac. Price: Around $100 and more. We looked at a lot of different asking prices in the US and the average cost is at least $100 + shipping. Read more about the product, and sign up for an alert for those times that HPW is out of stock, at Hennessy Pure White. As we’ve already said, it’s rare to find it in the US. And if you do find it in a liquor store, then it’s likely to be at a high price. Similarly people have informed us that the odd bottle comes up for sale at auction. But once again, these rarities tend to end up being sold for a premium–just because it’s so difficult to find. Another Cognac that might be of interest, if you like the White Hennessy, is the Hennessy Black. Check out the Hennessy Black review. So if you’re finding it difficult to find Hennessy White, then head to our Cognac-Expert Shop. Here it’s simplicity itself to place an order and have it shipped directly to your door, wherever in the US you might live. And rest assured that we’re experts at shipping Cognac to the US, and we take care of every part of this complicated process. We pride ourselves in making the purchasing process as simple and smooth as possible. Cognac Expert is formed of a close knit, customer service focused team. And you can relax in the knowledge that not only do we know about Cognac, but we also take the utmost care in providing a positive buying experience. From your first point of contact, right through to the delivery of your precious parcel of HPW (or other Cognacs), our aim is perfection every step of the way. And, we have to say, there’s something rather luxurious about knowing that your Cognac has actually come to you directly from the Cognac region itself. Not many people can say that about their Hennessy Pure White purchase. Wait. First I want to learn more about Cognac! OK, so you want to discover more about Cognac, the great French brandy? Well, you’re in the right place, because Cognac-Expert.com is the Number 1 online resource for everything to do with Cognac. From our easy to understand introduction to Cognac – What is Cognac – an introduction, through to topics such as How to drink Cognac or How to taste Cognac (because there is a difference between the two, you know), we have all the information you need to start your discovery into the world of Cognac. There’a also a section with many general articles about Cognac, such as What is Cognac? and all about the different age grades you can find. The thing is, we’re the first to admit that Cognac is a complicated subject. And many resources that you find online or in books are just one step too technical to be a pleasure to read. Here at Cognac Expert we aim to plug that gap, providing users around the world with easy to follow, and fun, resources that really will enhance your enjoyment of what is truly an iconic French drink. And it’s people just like you that make our global community such an enjoyable group to be a part of. So whether you simply want to ensure that you never run out of your favorite Henny Pure White, or you want to truly increase your knowlege about Cognac, or even discover new and exciting brands, Cognac Expert is with you all the way. And if you confused between black and white (Hennessy, that is), read the article about Hennessy Black – we think you’ll find it really informative. 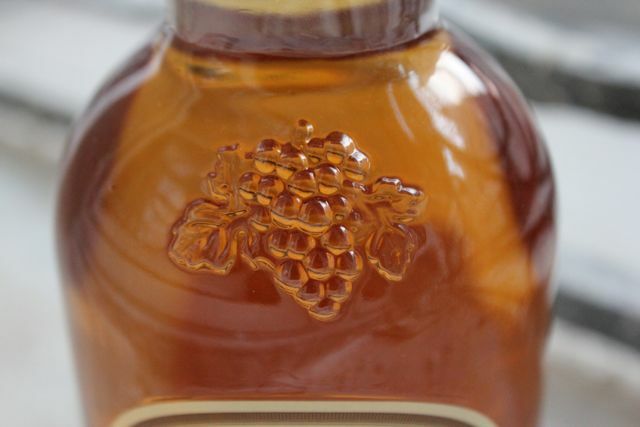 But we digress… So let’s get back to our original discussion about the delight that is Hennessy Pure White. 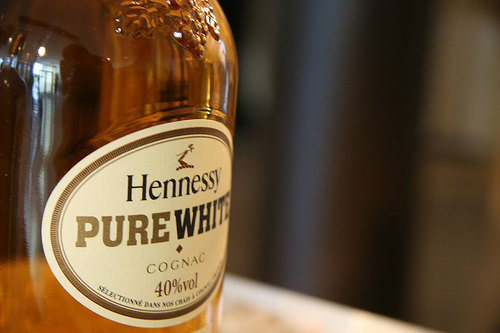 Hennessy White comes from the world’s leading Cognac house. Hennessy is the largest house in terms of both volume and value of annual sales. And in line with the Cognac’s alcohol level of ABV 40%, the house of Hennessy also controls about 40% of the worldwide Cognac market. In the world of spirits – it certainly is one of the giants. 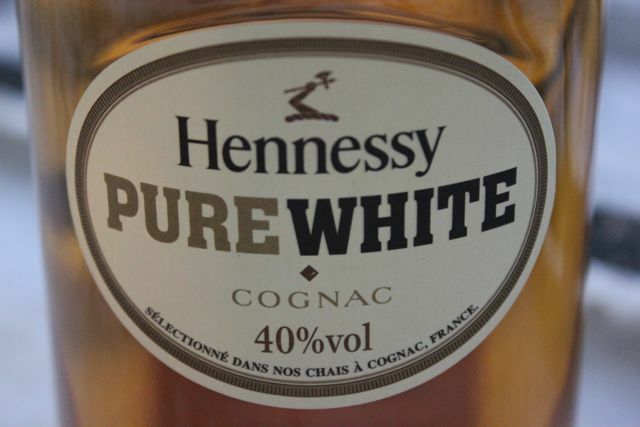 The white “Henny” is a contemporary product. And this includes both the design of the bottle and the spirit itself. It’s a very versatile Cognac that’s intended to be either drunk neat, or to use as an ingredient for cocktails and long drinks. It’s also great over ice. And here’s an insider snippet of information; apparently it’s a difficult Cognac to create. A member of the hallowed Hennessy tasting committee confided in us that Hennessy White, “is a pain” to create… Perhaps that’s one of the reasons they don’t market it in the US, as it would be too difficult to keep up with what would be a massive demand? Although that’s just us wondering out loud, of course. The marketing behind Hennessy Pure White is a little confusing. There must be a reason for the exclusive distribution in the Caribbean only? Perhaps it’s because the Caribbean is associated with the color white (think of the Raffaelo commercial, coconut, white beaches etc). Whatever it is, can you think of anything more decadent than wandering along perfect white sands, with palm trees gently fluttering in the warm breeze, and a Henny Pure White over ice cradled in your hand? If that’s not paradise, then we’re not sure what is. 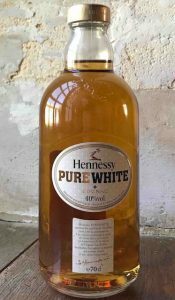 And if you’re wondering if Henny White is called “white” and “pure” because it’s produced with white wine or white grapes? The answer to that is, no. Hennessy Pure White is simply a particular blend of the eaux-de-vie made in the Cognac region, Charente. And all Cognacs are made from white grapes, and therefore white wine. Cognac is produced from three particular different types of grape. Discover more about these particular grape varieties. What mixes well with Hennessy Black? Cognac Expert? Don’t miss Nick Faith Cognac session in London! Best Cognacs and Brands 2010. Is there a List? I have three bottles available if you are interested – Tampa, FL. Will ship to US only. I’m trying to see about getting a bottle or two of Hennessey pure white, but having no luck! Any one know where I’m able to buy this at? Are you still interested in purchasing a bottle? I have one bottle left. Trying to find out around what year was HPW made?? ?